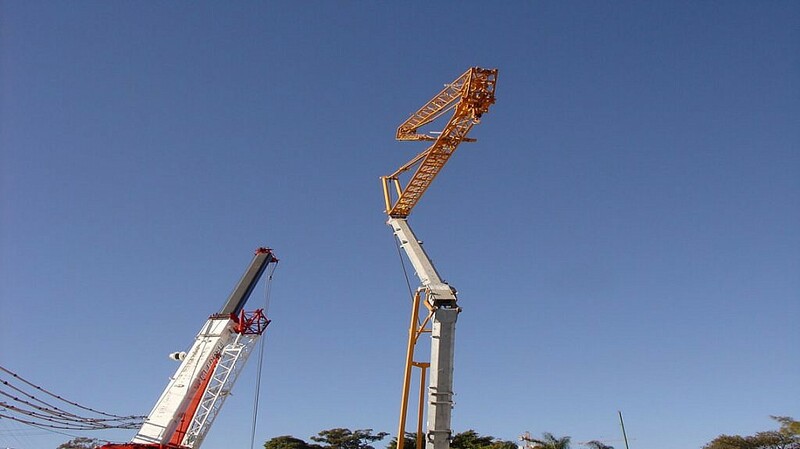 Potain HD 16C is a Self-Erecting crane. Constructed on site usually with a mobile crane and delivered to the site with semi-trailers. The crane itself is lifted in position in one piece and then the counterweights are positioned on the back of the crane. Maximum freestanding height is 18.5 meters. It is controlled remotely by the operator. The HD 16C is compact and easily transported to and from the site. Implementation is simple and rapid thanks to an innovative mechanisation.